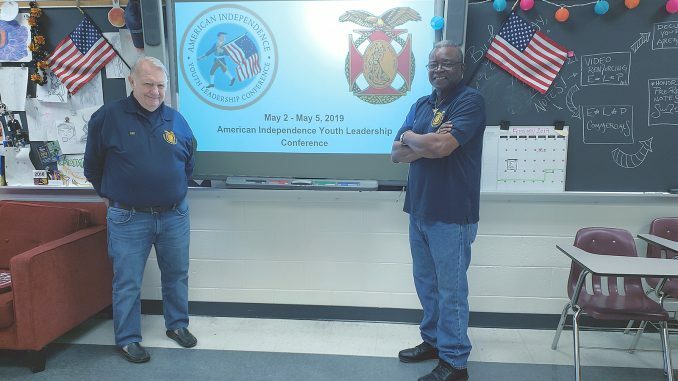 The Military Order of the World Wars (MOWW) is an institution founded in 1919, and the Hampton Roads chapter of MOWW hosts the annual American Independence Youth Leadership Conference (AIYLC), one of 17 national youth leadership conferences with a focus on leadership, patriotism and the free enterprise system. This program is designed exclusively for high school sophomores and juniors from both JROTC and mainstream backgrounds, including students from 19 different states across the U.S. For the last 18 years, the program has been rated at least a 3.5 or better on the same, anonymous, 4-point scale using the same method of critique. Johnson served in the U.S. Air Force for 28 years before becoming involved with this program. He was appointed to the position of AIYLC director by retired USAF Colonel Bill Townsley, the conference’s founder, assistant director of operations and administration and a 27-year veteran of the Air Force. Johnson ensures the safety and well being of the students, their food provisions and conference logistics, coordinating all events with Townsley. Collectively, the conference administrators maintain the costs to guarantee that any student who wants to attend, who is motivated, can attend without worrying or being burdened with the camp cost. If a student cannot afford to attend, but contacts the Hampton Roads chapter—and the conference administrators have enough capital—the chapter will cover the cost for that student, raising funds through raffles and other means coordinated by Townsley. “Safety is paramount. We try to ensure that the students return home the same way they came, just a little smarter,” says Johnson. The conference has been running since 2002, offering motivational speakers, a camp experience, various carefully engineered free enterprise games and puzzles, competitions and American trivia games for 45 students annually. The conference has grown from a basic exercise to a nationally recognized and accepted program through the MOWW. For the last four years, the AIYLC has been named the best small leadership conference within the national MOWW organization. The success of this conference is the result of staff efforts of Johnson, Townsley, four chaperones and four returning senior students who serve in a “big brother, big sister” role. “Our students leave motivated and ready for the future; more confident than when they came, with a better understanding of themselves and an understanding that they can become a leader regardless of who they are or where they came from. They understand that many businesses started with people just like themselves. Most importantly, the students leave appreciating what our American flag means,” Johnson says. We teach how to respect the flag and they learn the National Anthem. The conference includes touring Colonial Williamsburg and the Jamestown Settlement, with the goal of enriching the students’ knowledge about America. “My personal takeaway is proud satisfaction,” Townsley says. “For me, it’s giving back like someone gave to me,” says Johnson. Townsley was a fighter pilot during the Vietnam War who was shot down during the first week of his tour. As a result of getting shot down and his subsequent experiences, many historical changes were made to the Air Force. Rachel and John Toth, Townsley’s daughter and son-in-law, aid in the production of this conference while Johnson’s sons, Earl II and Julian, and granddaughter, Kristyn, serve as conference administrators, staff, speakers and chaperones. Townsley and Johnson, who refer to each other as “brothers from different mothers,” have been the best of friends since 1996. “If you are concerned about America’s future, help us to help tomorrow’s leaders. 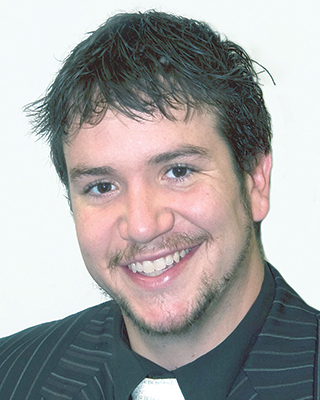 We encourage volunteers who can help in many ways—or send us a student,” Johnson says.